Long stretches of palm-fringed sands and romantic sunset walks. 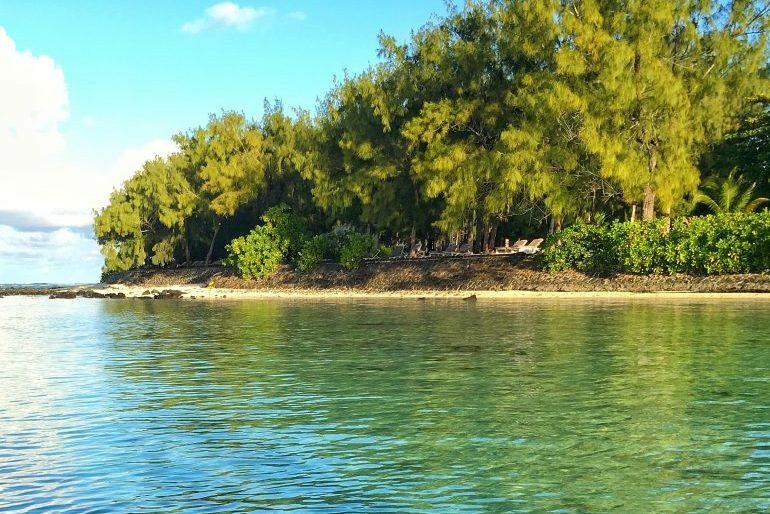 Mauritius is known as a haven for beach lovers and honeymooners alike, but there is so much more to the island than meets the eye. 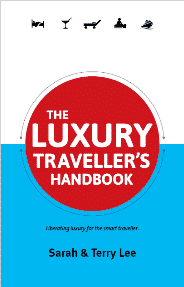 And much more to it than just Mauritius’ beaches. 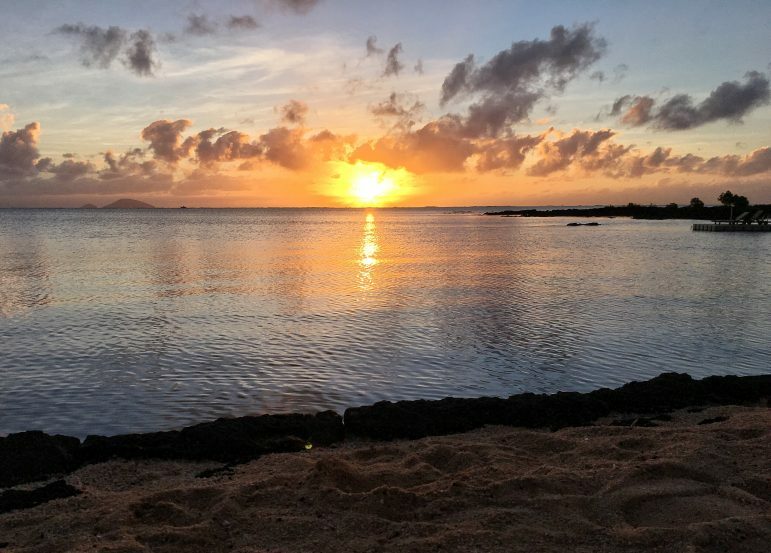 Yes, Mauritius has beaches – golden, fine sands, but as I discovered when I got the chance to jet off there with Air Mauritius there’s much more. The volcanic island of Mauritius rests in the Indian Ocean, and its beaches, lagoons and reefs provide a colourful backdrop for a luxury break. Its melting pot of cultures, mountainous interior and fields of sugar cane open the door to the island’s history and heritage. During conversations with islanders, I was enthralled not just by their warmth and hospitality, but their passion for their homeland. I was fortunate to be welcomed as an islander for a week and able to immerse myself in local life. Here’s my Mauritius. Leaving the grey skies of London, it was a joy to experience the warmth of a Mauritian winter. Visiting in June, with an average temperature of 26℃, the weather was just right for exploring the island. 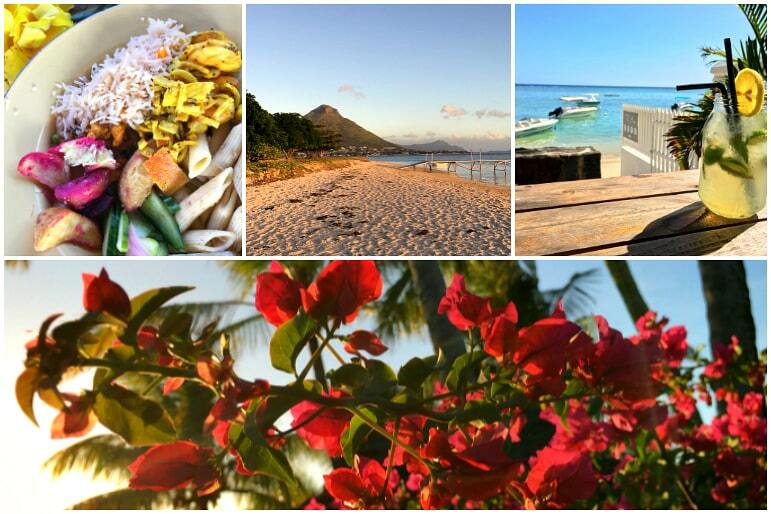 But even on my journey from the airport my perceptions of Mauritius began to change. 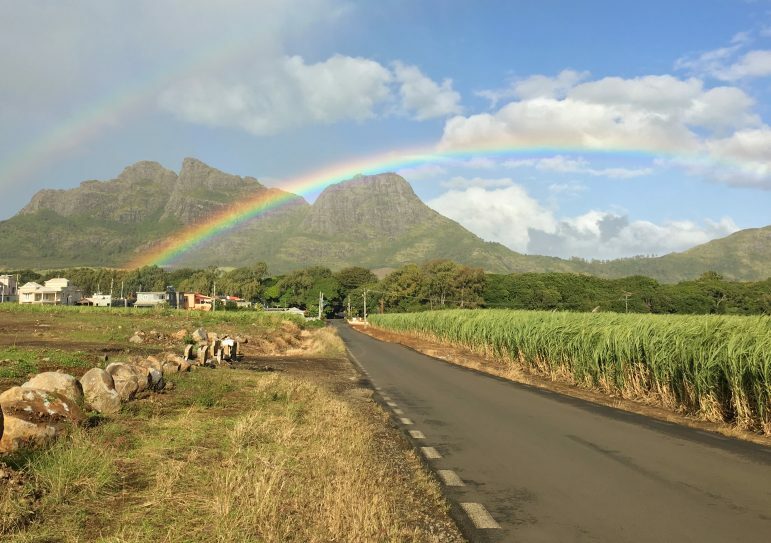 In the early morning light, we travelled through villages and past rolling fields of sugarcane, punctuated by a mountain backdrop and rainbow-filled skies. I then realised there was going to be so much to see and experience beyond Mauritius’ beaches. 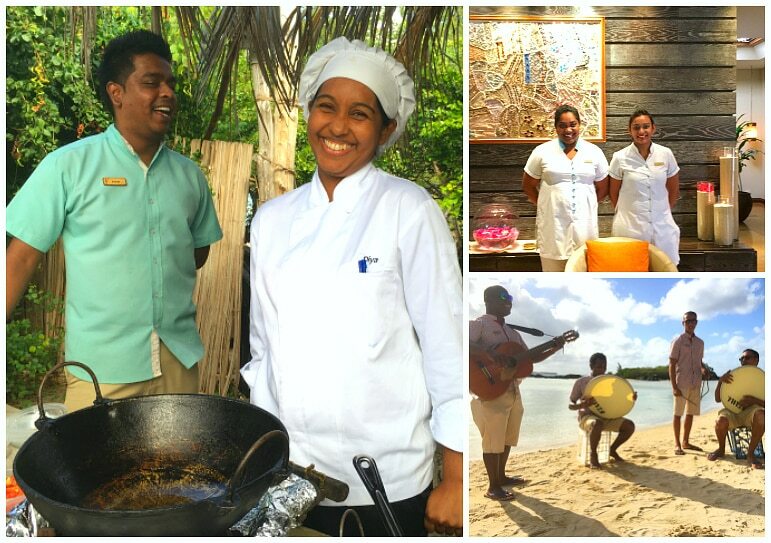 Mauritian hospitality has a unique warmth, and the world’s leading hotels have high regard for it. Numerous hotel staff I had the pleasure of encountering, chefs and managers alike, had been drafted in to work at some of the world’s best hotels in the past. But like many islanders, their love for their Mauritius eventually called them home – which I can certainly understand. This rare focus on service isn’t just found in hotels. 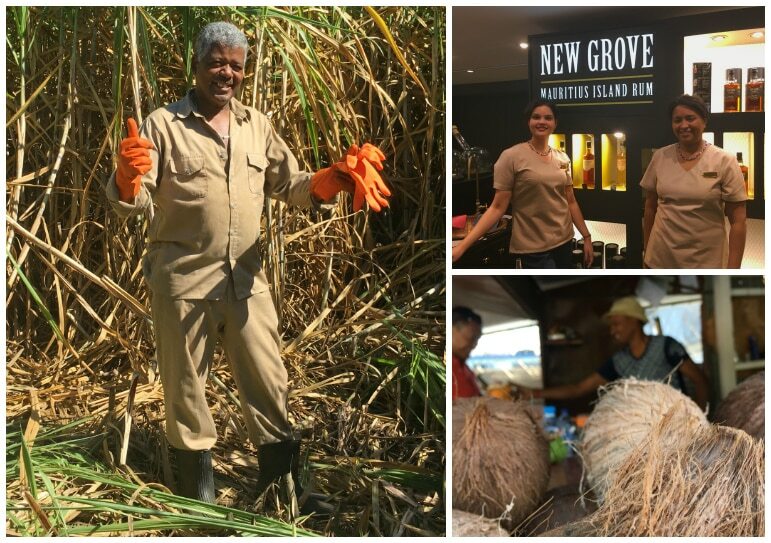 Interactions with locals and their vast knowledge of Mauritius and its deep-rooted traditions made my time there all the more enriching. From local shop owners to sugarcane farmers, they all had that friendly charm and I couldn’t help but want to stay in their company a little while longer. I am not one for early starts, but if you are going to do it, Mauritius is the place. Waking before the other hotel guests I made for the beach to watch the sunrise. The still and quiet neutral blue skies, were dispelled by golden colours as the sun broke through. With the gentle hush of the waves and birdsong as my soundtrack, I was entranced. But I wasn’t just there to revel in it’s natural wonders. I had some adventures in store, which I will cover in more detail in a future story. 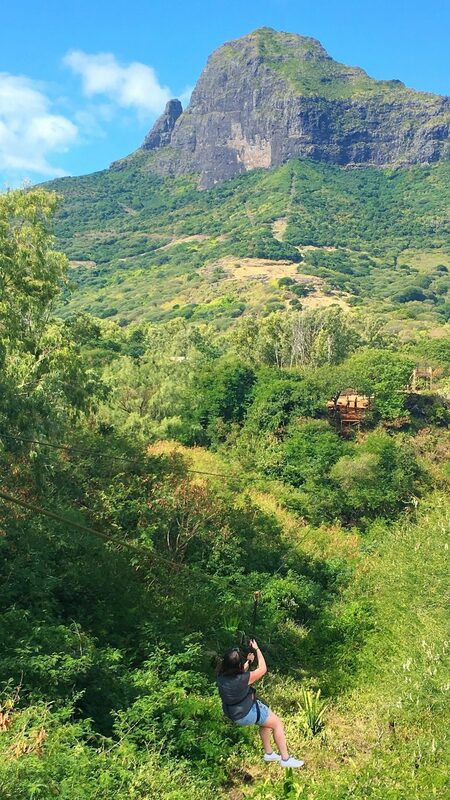 But they included ziplining through the canyon under the careful watch of the mountains at Casela World of Adventures, before some close encounters with wildlife. It gave me a real buzz and a sense of achievement having broken through my fear of heights. 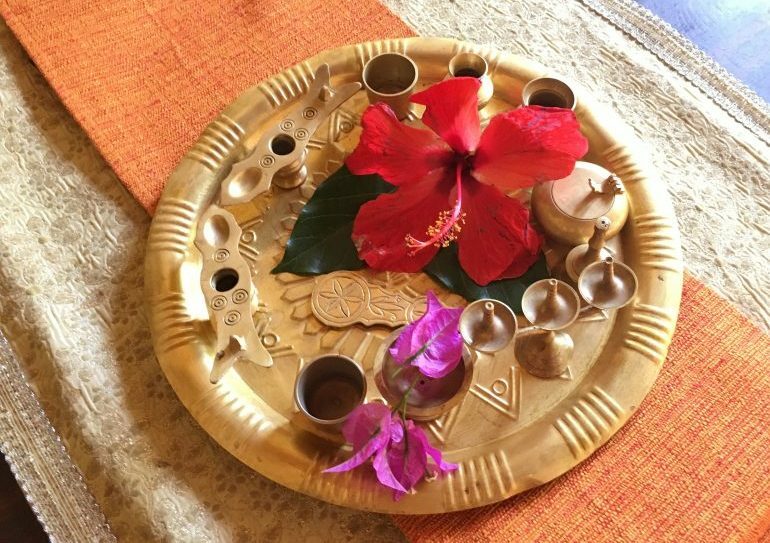 I enjoyed nothing more than finishing off the day with an indulgent treatment at my hotel, Maradiva Villas Resort & Spa. Using oils made from organic ingredients, it was a sweet and heady mix helping me slip into a state of relaxation. 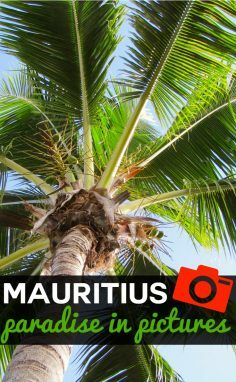 Now if you have been to Mauritius and were asked to describe it in one word, you would probably agree it’s impossible. But vibrant is one word I would use to sum it all up. The people, the food, the landscapes, the wildlife and the flora and fauna all have so much depth and character, that vibrant seems the only way to explain it. Ending the day with sundowners and sega music, I raised a toast realising that I had unearthed my own version of paradise. Today, sega can be seen (the dance) and heard (the music) across the island, and with its feel-good vibe you can’t help but join in. 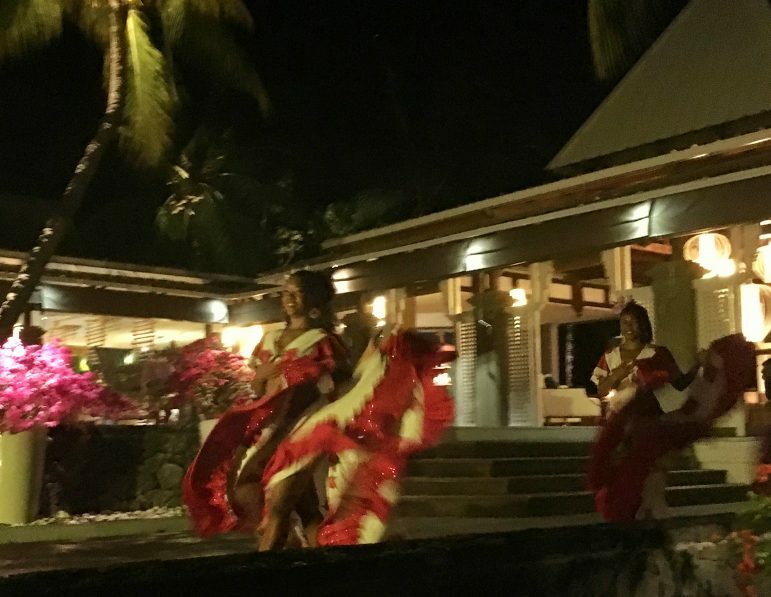 The lively beats and colourful Creole lyrics are a symbol of freedom – it’s a dance which originated from the slaves that were brought to the island from Africa, and they would dance away their pain at the end of the day. Mauritius was a place that I really didn’t want to have to leave, I felt like I was leaving a good friend. I will forever remember its warm embrace, the wonderful people, it’s thrilling culture. And of course its golden beaches.